Ubuntu GNOME Desktop 14.04.2 amd64 and I'm using Oracle Virtualbox. 1- Start the virtual machine. 2- Choose "Install Ubuntu GNOME" from the menu. 4- At the last slide and while it says: "Copying files ..." the installer will stop and can't go further. 5- The system itself is not frozen; when I click on: "Learn more about Ubuntu GNOME from: the one stop page", Firefox will open the link normally so I know the system is not on freeze, it is the installer. I have repeated this test twice with the very same result. Beside, I'm reporting this based on my test to Ubuntu GNOME itself. Not sure if this affects other projects as well. I did not have this problem on real hardware. Think I should test virtual hardware? 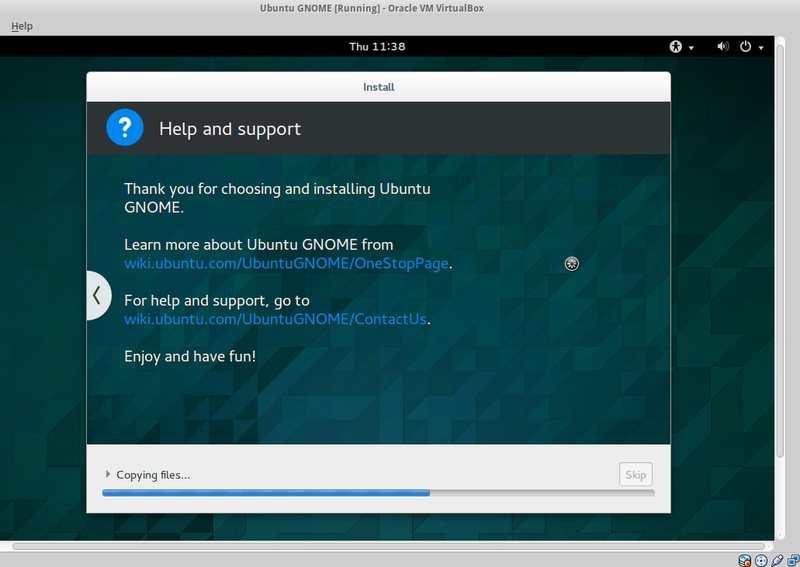 Does it make any difference if I choose: "Try Ubuntu GNOME without installation" and then do the manual test? 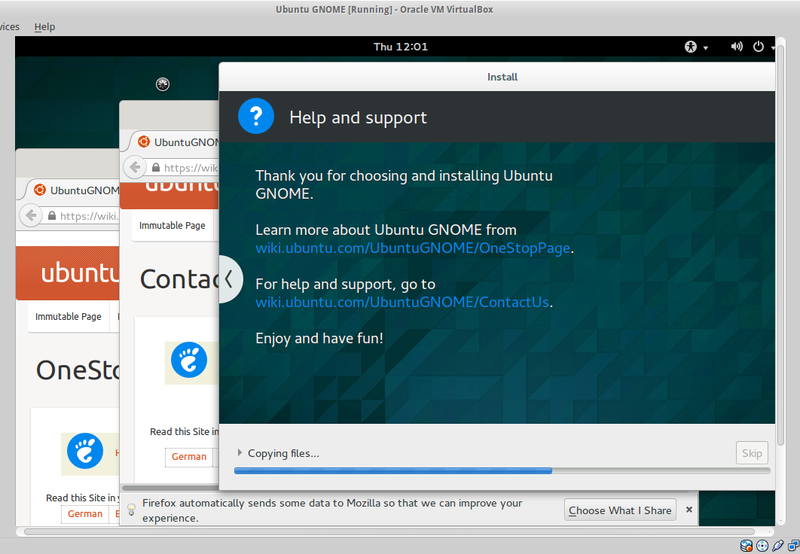 I followed the test case as it is and did choose: "Install Ubuntu GNOME" and then the manual test. I'll try to re-do that for the 3rd time now and see if that would change anything and I think I will choose: "Try without ..." option just in case that would make any difference and it would be easier to get log, hopefully. Could you see if you could retrieve /var/log/installer/debug from the system, or any other logs from /var/log/installer or /var/log/syslog; they may include details on what happens during the install to explain the stalling. Ubuntu 14.04 LTS will not receive any more release images. If you experience a similar bug on the latest version of Ubuntu, please file a new bug.